The slow start to the year continued as new car sales once again dived. With concerns around the state of the economy, record low interest rates haven’t been enough to incentivise buyers to get out there and snap up a bargain. Year on year, new car sales during February were lower by 9.3% to 87,102 units. Not only does this extend the number of consecutive months in which car sales have decreased to 12, but it reinforces how poor a start to the year it has been. Now after two months, year-to-date sales are tracking 8.4% lower, or in absolute terms, 15,500 fewer vehicles have driven out the door. 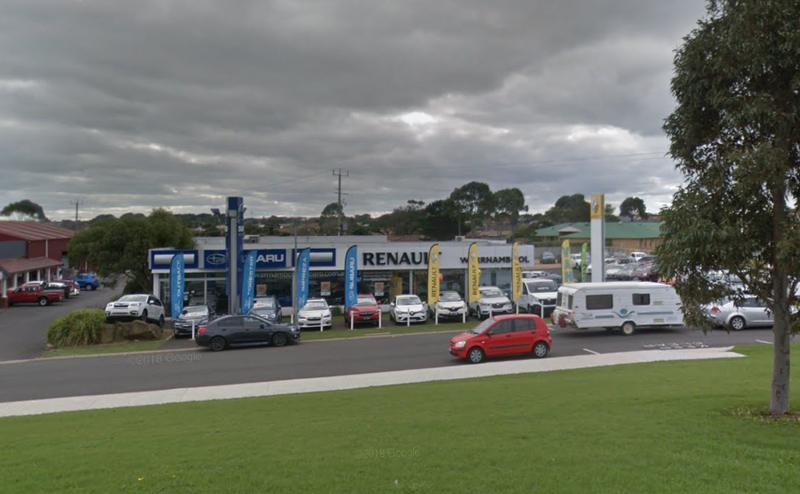 With the housing slowdown showing little signs of easing, plus state and Federal elections throughout the year, the pressure has been felt heavily on the new car market. Among the key states, Victoria sales were down 11.7%, NSW slumped 11%, Western Australia fell 8.3%, ACT declined 6.5%, Queensland dropped 6.1% and South Australia retreated 5.1%. Overall, there were few bright spots, and it’s of little surprise that the worst performing states are also those which have been hardest hit by declining home prices. A sharp drop in passenger vehicles by 21.3% was the major headline, although surprisingly, the frenetic SUV sector also took a breather, down 6% against the comparable month last year. In contrast however, light commercial vehicles enjoyed a stellar month, rising 6%. It may seem hard to explain this, especially with the amount of businesses stepping out of the car market, so it could be coming off a low base. At a closer level of detail, utes made a notable leap in the sub-segments of vehicles sales, almost topping the perpetual leader in medium SUVs. Market share during February was led by: medium SUVs (17.4%); 4x4 utes (17.2%); small cars (15.4%); small SUVs (12.3%); and large SUVs (11.4%). Finally, sales to rental car business and government departments continued their positive theme from January, increasing 4.8% and 4.9% respectively. The downside of course, was the slump in private and business buyers, which plummeted 9.6% and 11.9% compared with February 2018. 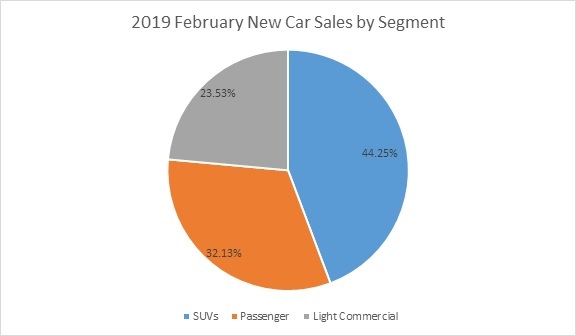 Stay tuned for Part 2 of our review into new car sales for February 2019, covering vehicle makes and models.